The TERAMAZE Thread - Think "Karnivool meets 90's Dream Theater"
Re: The TERAMAZE Thread - Think "Karnivool meets 90's Dream Theater"
Woohoo, managed to get a copy of this today. Can't wait to listen. I picked up Tears to Dust a week ago. It pales in comparison to the run of Anhedonia, Esoteric Symbolism, and Her Halo. Almost like a different band. Not sure who the hell sings on Tears to Dust either. It's not their "classic" singer who did vocals on Anhedonia and Esoteric (who is also back and doing vocals on the next one) or the guy on Her Halo. My suggestion would be just get Anhedonia, Esoteric and Her Halo, and that's really all you need. Three really great records. Looking forward to the next one. Yeah, I wasn't particularly impressed by Tears to Dust or Doxology myself. Once the band essentially "rebooted" itself with Anhedonia though, they've been on one hell of a run between that album, Esoteric Symbolism and Her Halo. Heck, the multitude of small samples the band's been posting on Facebook for the next album all sound fantastic too! Discovered this fantastic band with Anhedonia and was instantly blown away. Glad they got the original singer back and a new release is in the making! (prefer Anhedonia over Esoteric Symbolism though, just a bit more relatable to me. Her Halo.....not exactly my thing. Yeah, it's exciting that Brett's back. Hopefully we'll get a taste of the new album soon. For fans of Her Halo, Nathan also recently joined another band called Trigger! Cool! Thanks for the recc'n. I really loved Her Halo. Teramaze founder, guitarist and producer Dean Wells said of the video “Weight of Humanity" was one of the first songs we wrote for this album and I really believe it captures the true essence of what Teramaze is artistically and lyrically. The song touches on the pressures of living in our times and what we choose to believe and accept what is true or lies. ‘Her Halo’, Teramaze’s 2015 album, and their first for Mascot Records, saw the band take a big step up from previous albums ‘Anhedonia’ (2012) and ‘Esoteric Symbolism’ (2014), with the UK’s Prog Magazine calling the album “Exceptional” and stating it was “one of the finest prog metal releases of recent years.” Four years later and Wells and Teramaze are back with a new album, ‘Are We Soldiers’, another step up for the Australian band. It’s still Teramaze – all huge choruses, crashing guitar chords, intricate time changes and swooping melodies – but it’s a bigger, brighter and even better Teramaze. 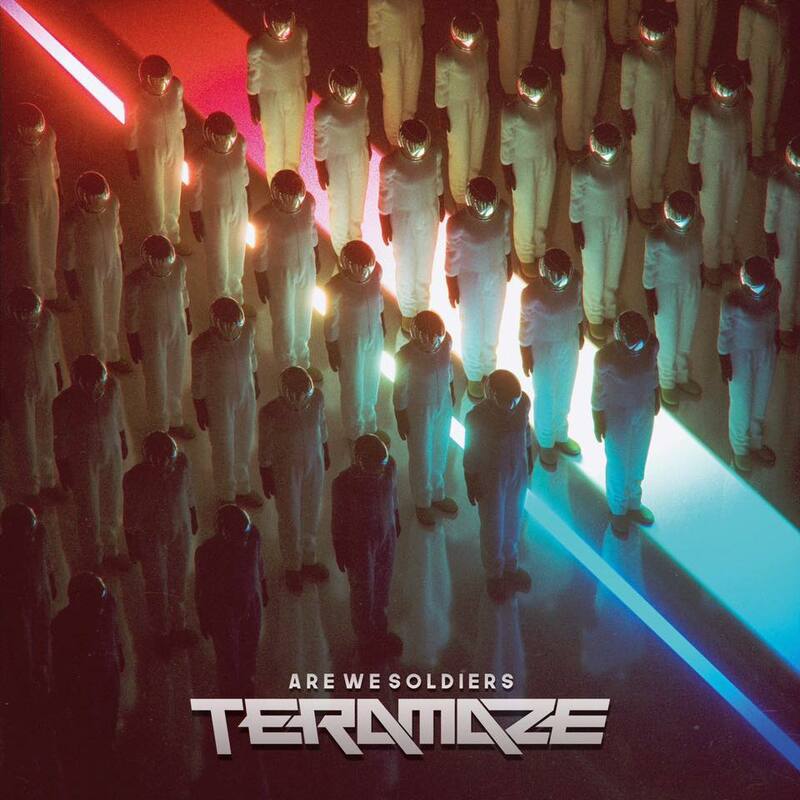 There’s change beyond the music for Teramaze with ‘Are We Soldiers’, with original vocalist Brett Rerekura returning to the fold, replacing Nathan Peachey, who’d sung on ‘Her Halo’. With ‘Are We Soldiers’, Dean Wells and Teramaze have delivered another excellent piece of modern progressive metal. One that will inevitably build upon the progress achieved by ‘Her Halo’. With plans afoot for European and UK live dates for later in the year, Teramaze are a band that are going to be occupying a lot of your time in 2019 and beyond. during that year. Absolutely loved it. Missing the last singer, but at least they went back and got the guy from the albums prior. I love this band. Ditto..........decent song but prefer the vocals on Her Halo. I don't like lyric videos unless the lyrics are really top notch and I don't think they are here. I really liked the mid section and from there I thought the song improved. I didn't think that song was all that special. Probably a grower though. Sounds kind of like newer Pyramaze to me a bit. Will check out.